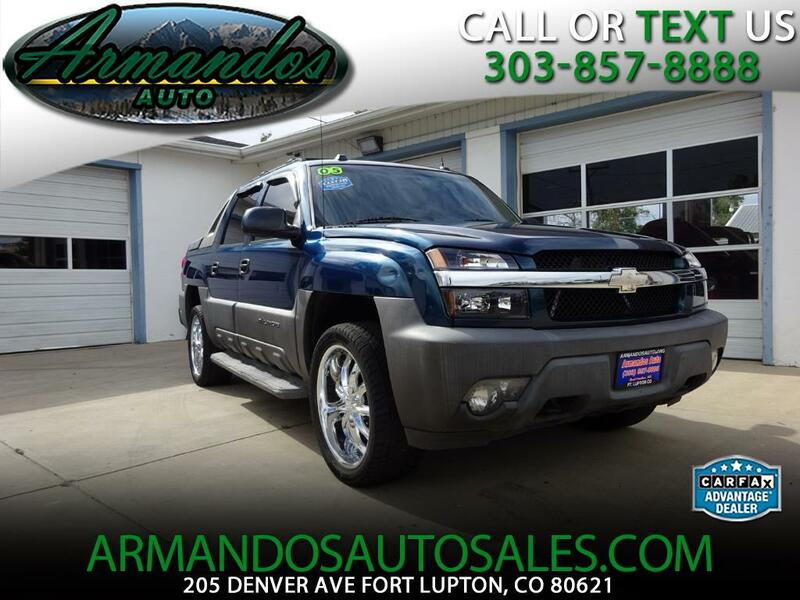 Check out our incredible 2005 Chevrolet Avalanche! It sports 5.3 Liter V8 making 285hp and 325lb-ft of torque. This stellar machine continues to receive positive reviews for its ample passenger and cargo room, interior and bed storage space, and impressive towing capacities. You'll love the unique styling as its refinement is similar to that of the Suburban. Inside, this beauty boasts a Bose sound, leather upholstery, heated front seats, sunroof, a multi-function steering wheel and loads more! This is a fantastic vehicle. Print this page and call us Now... We Know You Will Enjoy Your Test Drive Towards Ownership!